Six hundred hatchery bred fry of Cyprinus carpio (0.13g ± 0.00) were fed different starter diet namely Decapsulated Artemia Cyst (DAC), Dried quail egg (DQE), Coppens Starter feed (CSF) and On farm compounded Feed (OCF) 56 days. Result obtained shows that the mean final weight (MFW) of the fry fed DAC where significantly higher (3.65g ± 0.04) than the other treatments (P < 0.05) while the least MFW was observed in fry fed CSF (2.97g ± 0.03). There was no significant difference in the mean final weight of fry fed DAC and those fed CSF (P > 0.05). Specific growth rate (SGR) also differs significantly among the four dietary treatments (P < 0.05). However, feed conversion efficiency (FCE) and survival was significantly higher in fry fed DQE (P < 0.05) compared to other starter diets. Carp is the most extensively cultured fresh water fish species in the world (Zhou et al, 2004). The fish has several advantages that make it popular as a commercial aquaculture species, this includes fast growth rate, high environmental tolerance, ease of handling, tolerance to high stocking density and ability to utilize effectively artificial diet (Kirpatchnikov, 1999). Common carp (Cyprinus carpio) occupy third place as aquaculture species among the family Cyprinidae after silver carp and grass carp. Common carp is distributed throughout tropical, sub-tropical and temperate regions. It has fast growth rate and accounts for nearly 46% of the total yield in polyculture. Its early maturation and prolific breeding habit retard growth through competition for food and space (Basavaraja et al, 1997). The importance of artificial feeding in aquaculture cannot be over-emphasized as it represents 40-50% of the production cost (Steven, 2001). It promotes faster growth, allows higher stocking density, shorter cultivation periods and high survival of fish seed. Fry management especially fry nutrition is crucial to high seed development. However, the unavailability and affordability of adequate fish feed has significantly affected the development of aquaculture in Nigeria and in Africa as a whole. Starter diets used in most Hatcheries in Nigeria is Decapsulated Artemia cyst (DAC) which is imported into the country and also costly. The price is continually on the rise thereby removing the margin of profit accruing to the fish seed producers (Amubode and Ogogo, 1994). This study is designed to evaluate the suitability of using other starter diets from local sources in the management of fry of Cyprinus carpio. Six hundred fry of Cyprinus carpio used for this experiment was obtained from a homogenous source through induce breeding. The fry were held in indoor hatchery prior to commencement of the experiment. Completely Randomized Design (CRD) was used to allot 60L water capacity bowl to each treatment. Four diets were used for the experiment representing four treatments which were triplicated making a total of 12 plastic bowls. The feeding trial lasted for 56 days. Decapsulated Artemia cyst (DAC) (Inve Aquaculture) was purchased as a 450g package used for the study. The DAC was fed directly to the fry. Quail eggs were purchased in Bauchi, Northern eastern Nigeria. The eggs were introduced into boiling water at 100°C and cooked for 10minute. The cooked eggs were then released into a bowl containing cold water. The shell was then removed and the whole egg was oven dried, milled and packaged for use (Table 1). Table 1: Proximate Analysis of the Starter Diets used for the Experiment. The commercial diet used was coppen feed (CATCO fish concentrate 56) of 200μm - 800μm particle size. This was purchased from a major vendor in Bauchi State, Nigeria. The On farm compounded feed formulated contained fish meal, soybean, groundnut cake, corn meal and mineral and vitamin premix. These feedstuffs were used to formulate 56% crude protein diet using Pearson Square method. The feedstuffs were then dry mixed and hot water (60°C) was introduced to gelatize the starch for effective binding. The tough dough formed was then passed through 2mm die mounted on a pelletizer. The pellets were sundried and packed for use (Tables 2 and 3). Table 2: Carcass Proximate Composition of C. carpio fry Fed four Starter Diets for 56 days. Table 3: Growth parameters and Nutrient Utilization Indices of C. carpio fed Starter Diets. Indoor hatchery of the Bauchi State Agricultural Development Programme Headquaters (BSADP) was used for the experiment and the temperature was maintained at 28°C using a thermostat. Each plastic bowl used has equal capacity of 60L and were all connected to an airline pump oxygen from common source (1HP oxygen pump). 50 fry of C. carpio was stocked in each plastic bowl. Fish were fed to satiation with the diet four times in a day at 08:00h, 11:00h, 14:00h and 17:00h. Satiation was determined based on visual observation of acceptance and reluctance or refusal of diet. Water was change daily without much disturbance to the fish using a sectional hose. Water quality was also monitored. Temperature was taken using mercury-in-glass thermometer. pH, Dissolved oxygen was measured using a digital water checker (Figures 1 and 2). 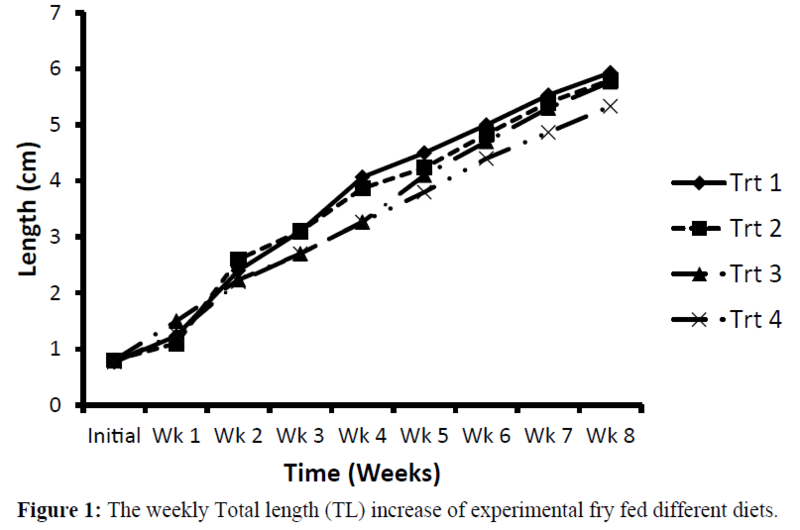 Figure 1: The weekly Total length (TL) increase of experimental fry fed different diets. 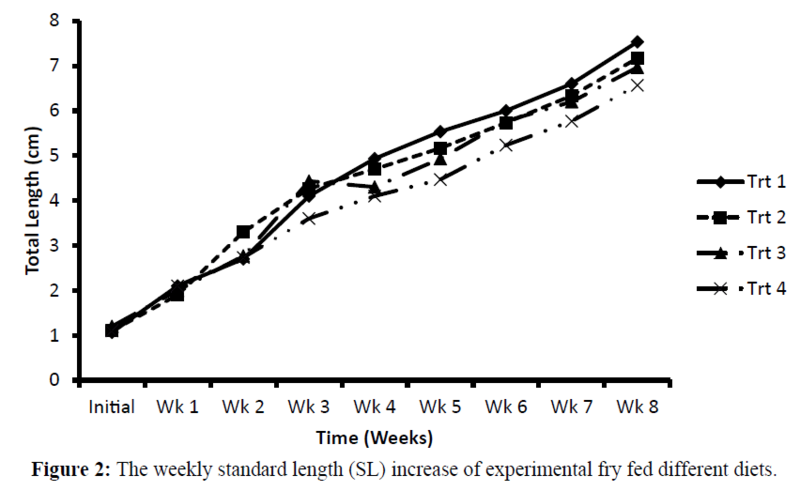 Figure 2: The weekly standard length (SL) increase of experimental fry fed different diets. The data obtained from this study were analyzed using Gen stat® discovery edition 4 and Minitab® 14, descriptive statistics were done and mean gotten were subjected to analysis of variance. Some variables were also analysed using Analysis of Co-Variance where some dependent factors were found to differ significantly (P < 0.05). All significant different means were separated using Fisher’s Least Significant Difference of Mean. The weight gain by C. carpio fry in this study differed significantly (P < 0.05). The fry responded better to Decapsulated Artemia Cyst (DAC) as highest weight gain was obtained in this diet. The growth pattern of fish changes according to the developmental stage of the fish. DAC is the best for carp fry as a starter feed as this result has indicated. The commercial diet used in this study even though contain highest crude protein of 53.39 did not give the highest mean weight gain and specific growth rate. Commercial starter diets may be used in rearing fry with appreciable performance but it is not the preferred diet of fish at the early stage of life. In this present study, Dried Quail egg is the most utilized protein among the four diets. The body protein retained by the fish determines quality digestible protein that man can derive from such fish on consumption. The protein efficiency ratio (PER) of Dried egg diet is significantly different from other diets (P < 0.05). The high lipid content of this diet must have been utilized for energy while sparing the protein for growth. This conclusion is supported by Abbass (2007) and Manjuppa et al (2011) who reported that nutrient is better utilized in fish fed higher lipid in their diet. It has been established that protein utilization for growth is related to both the dietary protein level and the availability of non-protein energy sources. Supplying much of the required energy through carbohydrate and/or lipid helps in avoiding body protein from being utilized as energy thereby improving protein efficiency. Kim and Lee (2000) looked at the economics of fry feeding and nutrition, Decapsulated Artemia Cyst is a better starter diet for carp. This is because its FCR value is the least and it is match with corresponding higher weight gain. The On farm compound diet, though higher in crude protein than the dried quail egg gave the least weight gain. This may be as a result of the lower amino profile associated with protein of plant origin compared with protein of animal origin. Stankoric et al (2011) concluded similarly that compounds of animal protein especially from marine species have higher nutritional potential because they provide essential amino acids hence protein of higher biological value. This study reveals that all the diets can be used as starter feed for fry without compromising fry survival as percentage was from 98 – 100%. Basavaraja and Anthony (1997) reported a survival rate of 98% for fry fed with conventional feed. However, survival of fry inspite of high quality starter feed must be married with appropriate management skill and handling. Amubode, F.O., Ogogo A.O., (1994). Performance of snail Archachatina margirata fed levels of caloric protein supplementary diet Nigerian. J Forestry, 24: 34-43. Ayinla, O.A., (2005). Final Technical Report on Study and Analysis of Feed and Nutrients for Sustainable Agriculture in Nigeria FAO. Basaravaja, N., Anthony, M.J., (1997). Rearing of Fry of Cyprinus carpio on Conventional and Supplementary Feed. 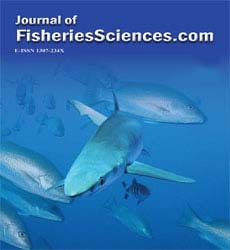 India Journal of Fisheries, 44(2): 165–170. Kim, L. O., Lee, S. M., (2005). Effect of Dietary Protein and Lipid Level on Growth and Body Composition of Bagrid Catfish, Pseudobarus fulridraco. Aquaculture, 2(43): 323–329. Kirpichnikov, V.S., (1999). Genetic and Breeding of Common Carp [In: R.R. Billar, J. Reperant, J.P. Rio., R. Ward (eas)]. Genetic and Breeding of Common Carp. INR, Pert Pp 97. Stankovic, B.M., Dulic, P.Z., Markovic, Z.Z., (2011). Protein Sources and their Significance in Carp (Cyprinus carpio). Nutrition Journal of Agricultural Science, 56(1): 75–86. Steven C., (2001). Understanding Fish Nutrition, Feeds and Feeding. 3rd ed. pp. 181-257. Academic Press, San Diego, CA, USA. 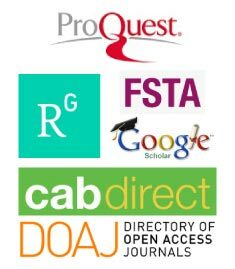 Webster, C.D., Tiu, L.G and Morgan, A.M., (1999). Effect of Partial and Total Replacement of Fish Meal on Growth and Body Composition of Sunshine Bass Morone chrysops X M. saxatilis fed practical diets. Journal of the World Aquaculture Society, 30(4): 443 – 453. Zhou, J., Wu, Q., Wang, Z and Ye, Y., (2004). Molecular Physiology of three Sub species of Common Carp Cyprinus carpio based on Sequence Analysis of Cytochrome b and Control Region of Md DNA. Journal of Zoological Systematic and Evolutionary Research, 42: 266 – 269.